Traditionally, a great number of young people from rural areas wishing to be rikishi enter Professional Sumo based in Tokyo. 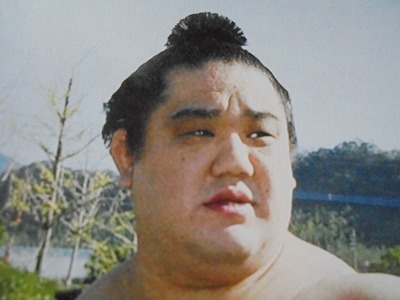 In the past, many young people went to Tokyo to enter sumo schools (stables) and become rikishi just because of their economic reason. Many of such rikishi used some types of kanji as part of their shikona to show the strong love for their hometowns. Each of them expressed through his shikona his determination to make a success and return in triumph to his hometown. But after long years, less young people around the age of 15 become rikishi because of their economic reason. Now more college graduates become rikishi after they trained themselves in amateur sumo clubs. Most of them become professional rikishi seemingly not because of their dreams for success but just as one of employments. “里” directly indicates “hometown”, and so this kanji is often used as part of shikona. Many rikishi from rural areas must have a strong love for their hometowns. Also, people in the hometown from which each rikishi comes specially support the rikishi native to their town. This is because they consider the hopeful professional rikishi as their pride. Some cities or towns set off fireworks every day when their own rikishi win their matches. “錦” means silk fabrics with patterns woven up of gold or silver yarns. Wearing clothes made of these fabrics is a proof of the success. The Japanese proverb, “Kokyo ni nishiki wo kazaru”, means that a young man returns in glory after making a success in a big city, years after leaving his hometown with a dream for success in mind.